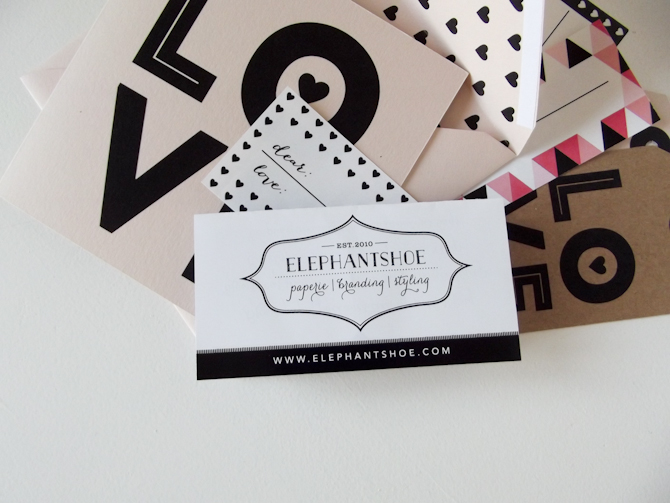 post featuring one of my favourite local stationery brands - Elephantshoe. Those in Durban will know that the weather has been all over the show which has made photo taking so difficult. Luckily there were a few gaps of fairly okay light to use for snapping these beauties. As the year wraps up and we look towards 2015 - it's the ideal time to get organised and ready for a productive new year! I reviewed three items from Elephantshoe and made good use of them! 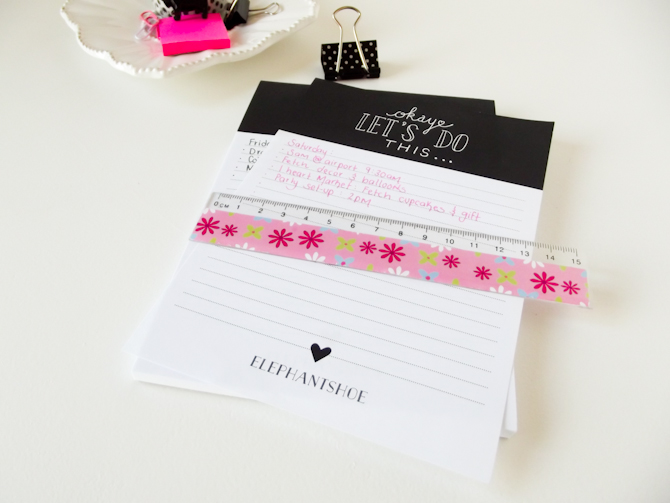 I sampled the following: 'My Weekly Planner' (a firm favourite), Let's Do This Notepad and the Meal Planner. It is difficult to select only one as the products are really wonderful. I would say that the clearly thought out design is possibly the best feature. I can feel and see the love poured into the design by the Elephantshoe team. There are ample lines to write on and it definitely seems as if the products where tried and tested before they were made available to buy. Good job Ellieshoe team! Getting organised all round. I particularly recommend the 'My Weekly Planner' for business owners who want to get going on setting up an editorial calendar for their blog and social media. The layout is perfect for keeping track of posts. You can shop for all the featured products on the Elephantshoe site. I have bought from them and their delivery time is particularly good! I highly recommend stocking up or buying gifts from this beautiful brand! You can also take a look at their lovely freebies - check out the Naughty or Nice Christmas printable. This is a local South African giveaway which closes on the 17th November. 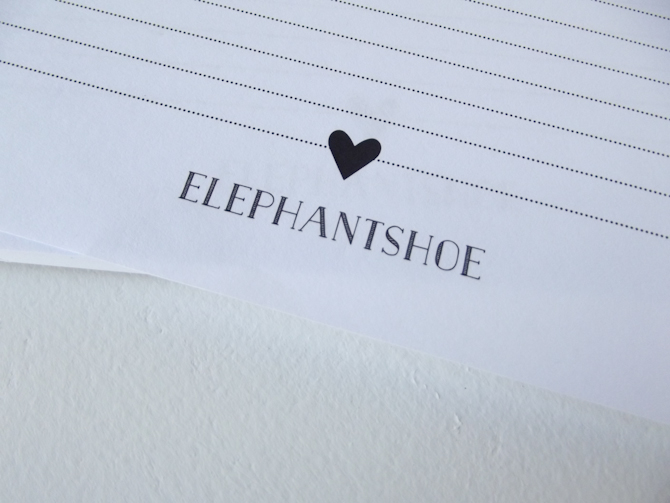 Nadia, what a lovely review on our Elephantshoe planners.YAY!!!!! I can't thank you enough for picking our organising products to review here on your gorgeous, helpful and all round marvelous blog. I'm so so happy to hear that you found our planners to be designed and produced in a pretty yet practical way. We can't wait to send out 3 Weekly Planners to your lucky winners. Sending you lots of love on this Monday - a start to a great, organised week! The ellishoe team are wonderful & their products are fab! I think the meal planner would be so helpful to avoid those "What am I going to make for dinner?" moments. I love cooking, but sometimes I spend way too much time on it. I love the design! So beautiful and functional. I love diaries, planners and notebooks, well actually all lovely stationery stuff! Great post! 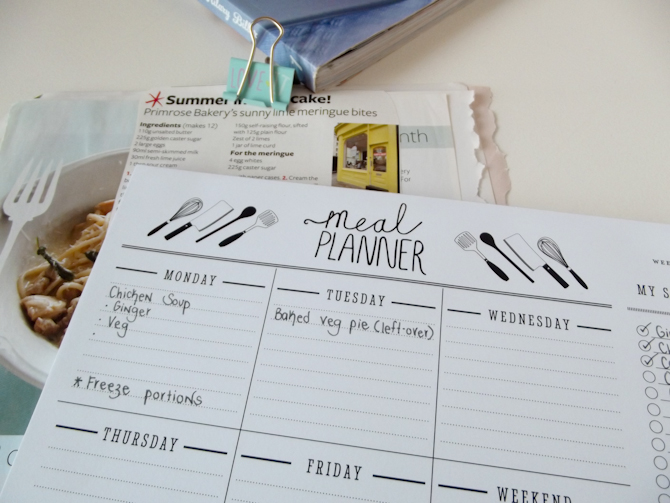 The meal planner is my favourite because as a working Mom I can plan our families meals in advance to avoid confusion, to eat better/healthier food, do more cooking for yourself and the family and put more thought into what I eat, try new recipes, and save at the grocery store at the same time! Ive saw someone with the Weekly Planner on Facebook and have been searching for it! I just LOVE LOVE it!! Can't wait to start planning! I ordered the weekly planner and notepads for my bridesmaids to help them during the planning phase. they loved it! Definitely the weekly planner. As a teacher I need to plan ahead and I need to be very organised, so this is definitely my favourite! I think the Meal Planner is so useful! Will definitely come in handy every day! Ohmygahhh - oh how I need - how I NEED that meal planner! Complete chaos without it.